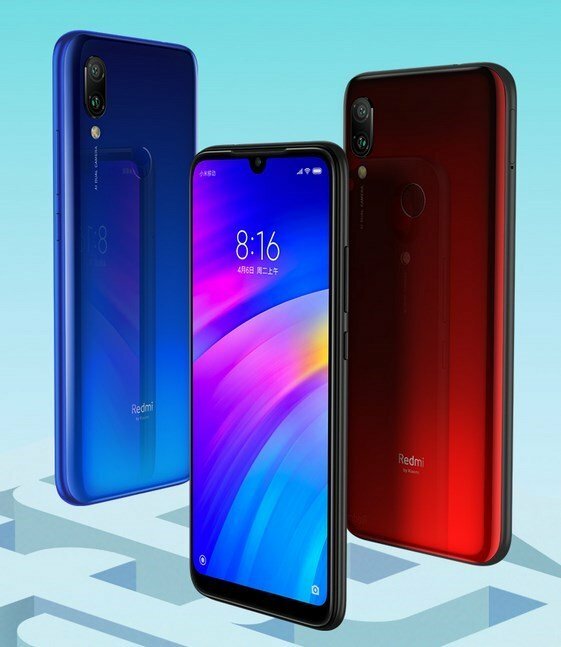 The Redmi 7 has officially been launched in China. 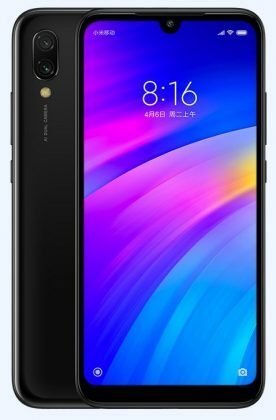 The mid-range device which we have seen in prior leaks, offers some decent specs. The phone is equipped with a 6.26-inches HD+ display which has a water-drop notch and is protected by Corning Gorilla Glass 5. 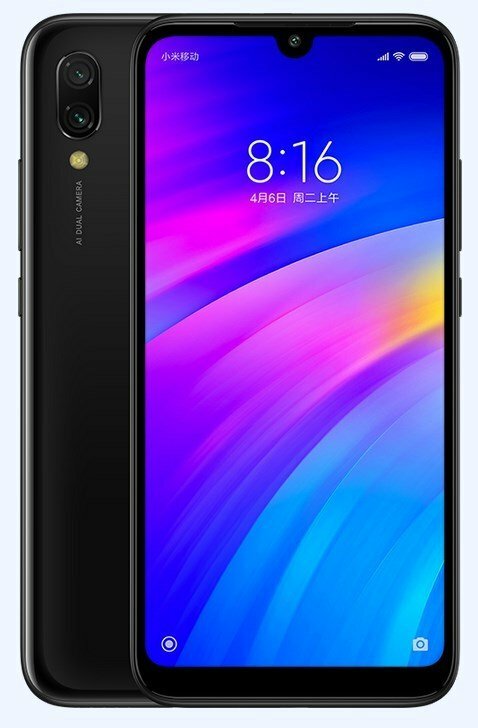 It runs on MIUI 10 based on Android 9 Pie. 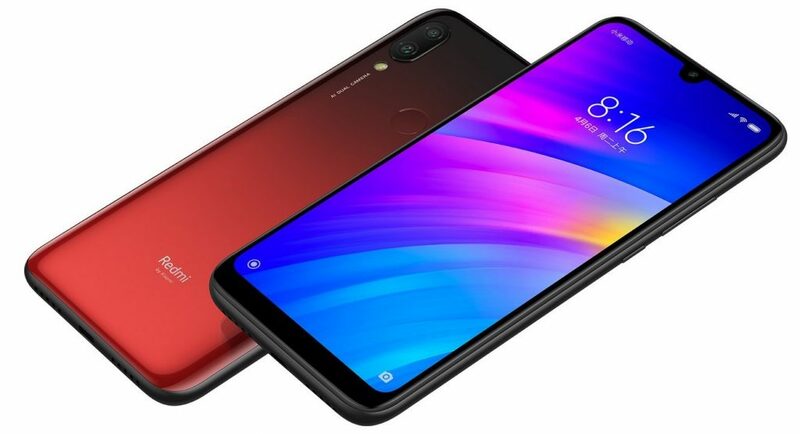 A Qualcomm Snapdragon 632 processor powers the Redmi 7 with 2GB/3GB/4GB of RAM and 16GB/32GB/64GB of storage. There is a microSD card which is part of the Hybrid Dual SIM Tray, that can be used for expandable memory. In terms of optics, the selfie lens that is housed in the notch is an 8MP sensor. 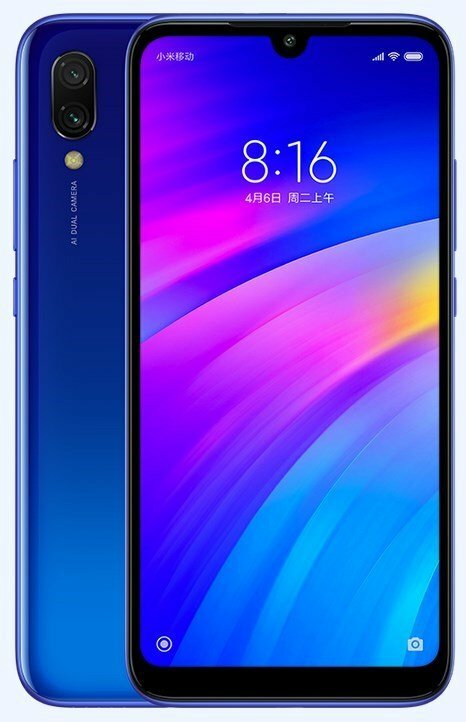 The back panel of the Redmi 7 features a 12MP primary camera with an f/2.2 aperture, a 2MP secondary camera and a fingerprint scanner. The phone is backed by a 4,000 mAh battery. Not surprisingly, the device has a micro-USB port, but on the bright side it does have a 3.55mm headphone jack. 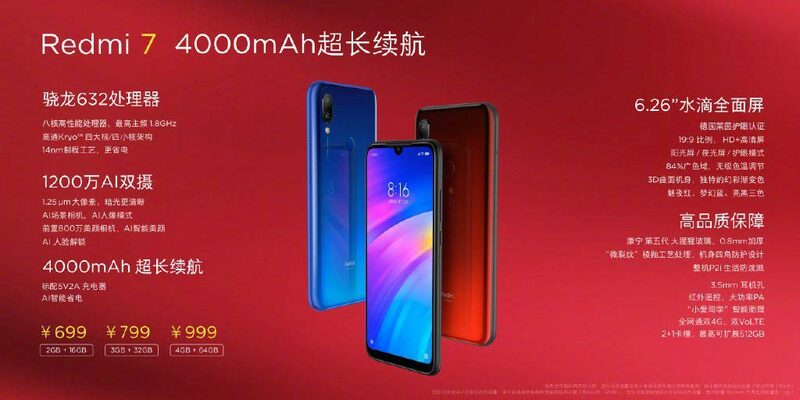 The Redmi 7 price in China starts at 699 RMB (about Rs. 7,000)for the 2GB RAM/16GB storage variant, the 3GB/32GB variant costs 799 RMB (about Rs. 8,000). And the 4GB/64GB variant has been priced at 999 RMB (about Rs. 10,000). The phone will be available in Blue, Black and Red colours. 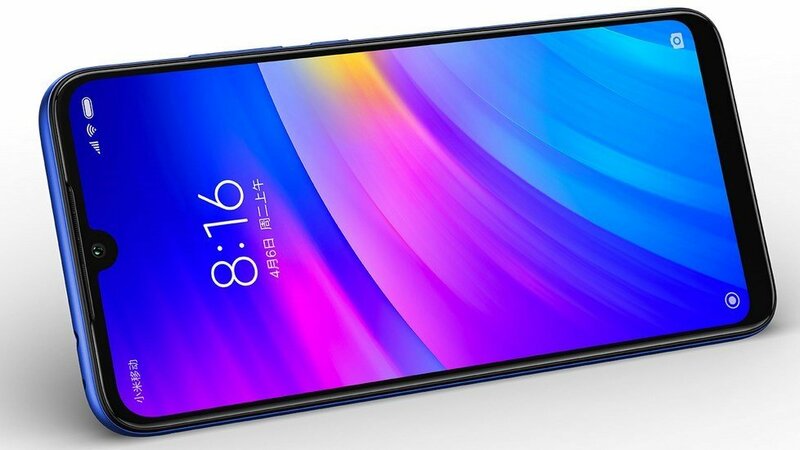 We can expect the Redmi 7 to be launched in India soon.